Parkinson's disease (PD) is a major neurodegenerative chronic disease, most likely caused by a complex interplay of genetic and environmental factors. Information on various aspects of PD pathogenesis is rapidly increasing and needs to be efficiently organized, so that the resulting data is available for exploration and analysis. Here we introduce a computationally tractable, comprehensive molecular interaction map of PD. This map integrates pathways implicated in PD pathogenesis such as synaptic and mitochondrial dysfunction, impaired protein degradation, alpha-synuclein pathobiology and neuroinflammation. We also present bioinformatics tools for the analysis, enrichment and annotation of the map, allowing the research community to open new avenues in PD research. The PD map is accessible at http://minerva.uni.lu/pd_map. K. Fujita and M. Ostaszewski contributed equally to this work. The online version of this article (doi: 10.1007/s12035-013-8489-4) contains supplementary material, which is available to authorized users. Parkinson’s disease (PD) is a major neurodegenerative disease, characterized clinically by a range of symptoms, in particular, impaired motor behaviour. The pathogenesis of PD is multi-factorial and age-related, implicating various genetic and environmental factors . Gaps in the understanding of the underlying molecular mechanisms hamper the design of effective disease modifying therapies. Investigation of such a complex disease requires a proper knowledge repository that organizes the rapidly growing PD-related knowledge — a disease map. The concept of a disease map is relatively new and has found only a limited application in the field of neurodegenerative diseases thus far [2, 3]. Such a map represents diagrammatically interactions between molecular components and pathways reported to play a role in disease pathogenesis and progression. It provides navigation and exploration tools that help the user to locate specific areas of interest and visualize known interactions. Associated analytical tools allow investigators to develop a profound understanding of the disease, detect unexpected interactions and ultimately identify new research hypotheses. In this paper, we present a PD molecular interaction map that captures and visualizes all major molecular pathways involved in PD pathogenesis. Furthermore, it constitutes a resource for computational analyses and a platform for community level collaborations [4, 5] (see Fig. 1). We also present how a set of bioinformatics tools applied to the map can facilitate in-depth knowledge extraction and continuous curation. The paper is divided into two parts. In the first part, we review the pathways implicated in PD, with a focus on synaptic and mitochondrial dysfunction, α-synuclein pathobiology, failure of protein degradation systems, neuroinflammation and apoptosis. In the second part of the paper, we demonstrate how the PD map interfaces with bioinformatics tools and databases for its content annotation, enrichment with experimental results, and analysis of its complex structure and dynamics. The PD map is accessible under http://minerva.uni.lu/pd_map (Online resource 1), as a SBML file (Online resource 2), and Payao, a community platform for pathway model curation . The major pathological feature of PD is the progressive degeneration of the nigrostriatal system, leading to the loss of dopaminergic (DA) neurons in the substantia nigra pars compacta (SNpc) . The degeneration of the nigrostriatal pathway and subsequent loss of striatal dopamine contributes to the cardinal clinical motor symptoms: tremor, rigidity, bradykinesia and postural instability . Although treatments such as dopamine substitution and deep brain stimulation alleviate many of the motor symptoms, there is no disease-modifying therapy preventing the progressive loss of DA neurons . Susceptibility for PD is modulated by various environmental factors [9, 10, 11, 12, 13], genetic predisposition or risk factors  and epigenetic alterations [15, 16].1 Exposure to pesticides and industrial agents has been associated with an increased risk for PD [17, 18], but to date none of these agents have been consistently identified as a causal factor for PD . It is known that exposure to inhibitors of mitochondrial respiration [20, 21, 22, 23, 24, 25] are sufficient to induce PD symptoms in humans and DA neurodegeneration in animal models. In this paper, we focus on DA neurons as a major point of convergence in PD disease pathways. However, pathogenic pathways leading to the demise of DA neurons may impact any neuronal population affected in PD, including those of the autonomic ganglia [26, 27]. The demise of these populations may contribute to a range of PD-typical non-motor symptoms hampering the life of PD patients, such as constipation and dysautonomia (ganglia of autonomous nervous system), cognitive decline and REM sleep behaviour (cholinergic neurons of the nucleus basalis of Meynert, noradrenergic coeruleus–subcoeruleus complex), depression and apathy (serotinergic caudal raphe nuclei, cholinergic gigantocellular reticular nucleus) [28, 29]. SNpc DA neurons are the most vulnerable population of neurons in PD. It has been suggested that their loss is multifactorial and related to the characteristic features of these cells: complex morphology, high energy demand, high calcium flux, and dopamine metabolism . Consequently, these neurons are particularly susceptible to various stressors, which contribute to their preferential loss (see Fig. 2). SNpc DA neurons have one of the longest yet most dense arborisation of all neurons [31, 32]. They project to the striatum, providing it with DA [33, 34]. These neurons have long, thin, mostly unmyelineated axons  and up to 150,000 presynaptic terminals per neuron . The high energy demand required to support synaptic activity, compensation for the potential risk of depolarization in the unmyelinated membrane, and axonal transport over long distances put a huge burden on the mitochondria. Interestingly, toxins that perturb the energy production and the axonal transport of mitochondria , cause parkinsonism in humans and preferential loss of DA neurons in animal models [22, 36, 37]. Finally, the large number of synapses increases the risk for local α-synuclein (α-syn) misfolding (see sections “Synaptic Dysfunction” and “α-Synuclein Misfolding and Pathobiology”). SNpc DA neurons can fire autonomously and have specific calcium L-type Cav 1.3 channels that regulate this pacemaking activity [38, 39]. The resulting high intracytosolic Ca2+ concentrations induce cellular stress, elevate the levels of reactive oxygen species (ROS), and increase demand for calcium buffering, which is handled by the endoplasmic reticulum (ER) and the mitochondria. Maintaining proper calcium homeostasis in such an environment increases again the energy needs. In contrast, neighbouring dopamine neurons in the ventral tegmental area use Na+ channels for pacemaking and are relatively spared in PD . Cytosolic DA also contributes to the vulnerability of DA neurons, primarily because its metabolism induces oxidative and nitrative stress in an age-dependent manner [40, 41, 42]. Neurotoxicity of DA increases with its concentration, which is thought to be regulated by Ca2+ concentration . Additionally, dopamine metabolism is involved in a number of PD-associated pathways, as it can impair synapse function, inhibit protein degradation and disturb mitochondrial dynamics by inhibiting the function of Parkin. Ageing, the primary risk factor for PD, especially affects DA neurons (see Fig. 2). α-Syn accumulation increases with age in the SNpc and correlates with the loss of DA neurons in non-human primates . This could be linked to the age-related impairment of the two protein degradation systems: the ubiquitin–proteasome system (UPS)  and the autophagy–lysosome system . ROS accumulate in an ageing brain [42, 45], partially due to mitochondria dysfunction, as mitophagy2 is decreased with ageing [45, 46]. Finally, the threshold required to trigger a neuroinflammatory response may decrease with age, since glial activation in SNpc increases in the ageing brain [42, 47]. The main function of a synapse is to establish a connection between neurons allowing communication via chemical or electric signals. The synapse has emerged as a neuronal structure highly susceptible to a variety of chronic insults [48, 49, 50, 51]. 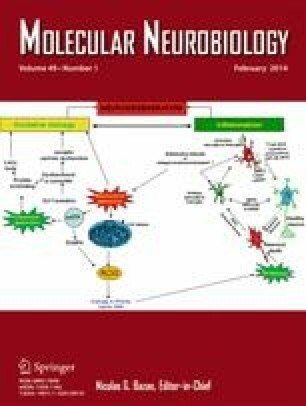 Below, we discuss the increasing evidence indicating that synapses are also affected in PD, and that their dysfunction and demise contributes to the disease. α-Syn is a presynaptic protein. Point mutations, duplications or triplications of its gene are associated with familial PD [52, 53, 54]. In cultured neurons, it transiently associates with synaptic vesicles prior to neurotransmitter release, upon which it rapidly redistributes to the cytosol . Association of α-syn with the synaptic vesicle may occur through its binding to SNARE complex proteins , and, as shown in mice, α-syn positively influences functional SNARE levels . Similarly, upregulation of α-syn in synapses and cell somas of cultured neurons protects against oxidative stress . However, the protective effect of α-syn is limited to a narrow concentration range, since high levels of α-syn cause familial PD . Even modest overexpression of α-syn has been reported to markedly inhibit neurotransmitter release . Also, α-syn forms potentially pathogenic micro-aggregates in the synapse . Another protein involved familial and sporadic PD, LRRK2, is also present in the synapse. Its experimentally induced upregulation or knockdown impairs the dynamics of synaptic vesicle release and recycling [61, 62]. However, the influence of mutated or dysfunctional LRRK2 on these processes in PD remains to be investigated. A number of other PD-related pathological events might affect synapses. Synapses of the nigrostriatal pathway, with their high level of α-syn and dopamine, are likely to be the major site of the formation of toxic adducts of α-syn and oxidized DA [40, 63, 64]. Furthermore, the energy demands of synapses may be compromised by dysfunctional mitochondrial respiration, turnover, or axonal transport . Locally dysfunctional protein degradation and turnover may directly affect synaptic function and plasticity . Mitochondria are highly dynamic organelles essential for a range of cellular processes including ATP production, ROS management, calcium homeostasis, and control of apoptosis. The maintenance of mitochondrial homoeostasis by mitophagy involves multiple factors ranging from the control of mitochondrial fusion and fission to mitochondrial motility . These processes are strongly related to proteins involved in familial and sporadic PD [65, 68, 69]. A number of proteins associated with familial PD are related to mitochondrial function , with PINK1 and Parkin playing a particularly important role. Control of mitochondrial turnover and protection against oxidative stress are mediated via the kinase activity of PINK1 targeting Parkin , HTRA2  and TRAP1 proteins. In turn, mitophagy is driven by PINK1-mediated translocation of Parkin from the cytosol to mitochondria [71, 74]. Importantly, both mitophagy [75, 76] and transcriptional control of mitochondrial biogenesis [77, 78, 79] depend on the E3 ubiquitin ligase activity of Parkin. Familial PD genes are also implicated in ROS production by mitochondria. Mitochondrial respiration and calcium balance are perturbed by PINK1 deficiency [80, 81]. The resulting reduced mitochondrial calcium capacity and increased ROS could lower the threshold for mitochondrial outer membrane permeabilization (MOMP) and thereby increase the vulnerability for cell death . Additional detrimental downstream effects of excessive ROS are mitochondrial DNA damage and inflammation [65, 82]. It has been suggested that DJ1 works in parallel to the PINK1–Parkin pathway to maintain mitochondrial function in the presence of an oxidative environment . DJ1 was shown to interact with a mitochondrial protein mortalin, which maintains mitochondrial homeostasis and antagonizes oxidative stress injury . Remarkably, Parkin overexpression has been demonstrated to prevent mitochondrial dysfunction caused by a mortalin knockdown . Mitochondrial trafficking is necessary for proper energy supply. This process is particularly demanding in long axons of DA neurons. Recent findings suggest that mitochondrial transport may be affected in PD. Axonal transport of mitochondria along the microtubules is directly influenced by PINK1 through its supporting role in the kinesin motor complex . Also, PINK1 and Parkin may play an important role in the process of quarantining the damaged mitochondria prior to their clearance . However, the role of PINK1 in the dynamics of mitochondrial trafficking is not yet fully understood . Mitochondrial trafficking may also be impaired by Parkin, α-syn, or LRRK2 as they modulate microtubule stability [89, 90, 91, 92], or by formation of α-syn aggregates . Finally, other proteins associated with familial PD have recently been linked to mitochondrial pathways. UCHL1-mediated cell death can be attenuated by mitochondrial protein HTRA2 , ATP13A2 regulates mitochondrial bioenergetics through macroautophagy , VPS35 mediates vesicle transport between mitochondria and peroxisomes , and EIF4G1 is involved in stress related protection of mitochondria . In long-lived post-mitotic cells, such as neurons, the degradation systems assuring the removal of damaged, dysfunctional cellular structures play a key role in cellular homeostasis. These degradation systems are involved in the clearance of defective cellular structures such as misfolded or damaged proteins, and dysfunctional organelles such as defective mitochondria . The two major degradation systems are the UPS and the autophagy–lysosome system. The complex machinery and biology of these two systems have been extensively reviewed elsewhere [66, 99, 100, 101]. The dysfunction of clearance systems, especially in the synapse, can lead to the accumulation of α-syn and defective mitochondria. These, in turn, can interfere with proper synaptic function, lead to the formation of toxic assemblies or aggregates, or impair energy metabolism and cause oxidative stress. Genetic and pathological evidence strongly indicate the involvement of defective clearance systems in PD [102, 103, 104]. Interestingly, patients with Gaucher’s disease, a lysosomal storage disorder [105, 106], have an increased risk for PD and accumulate α-syn in their brains . Mutated forms of α-syn have been reported to inhibit their own degradation by chaperone-mediated autophagy (CMA), while DA-modified α-syn also blocks CMA degradation of other proteins . Finally, pathological observations in PD autopsy brains and brains of PD animal models show an increased number of autophagy vacuoles and other autophagy markers [108, 109]. Interestingly, neurons containing Lewy bodies (LB) were shown to have decreased UPS and lysosomal markers . While this evidence demonstrates the involvement of cellular clearance mechanisms in PD, it is unclear whether that involvement is primarily beneficial or detrimental. It has been argued that exaggerated clearance activity may contribute to neuronal injury [111, 112]. The predominant view, however, is that the removal of abnormal proteins and organelles is neuroprotective [102, 113, 114, 115, 116, 117, 118]. The pathobiology of α-syn is implicated in a number of pathways involved in PD. α-Syn is an intrinsically disordered protein , which can spontaneously and dynamically adopt either physiological or misfolded conformations. The latter contains β-sheet structure, which promotes oligomerisation and fibrilisation [120, 121, 122]. High-order oligomeric and pre-fibrillar forms are thought to be cytotoxic, while fibrillar and aggregated forms may be harmless, detoxified depositions [119, 123]. This is still controversial, since familial PD α-syn mutants promote both misfolding and aggregation of α-syn, suggesting a pathological role of this process [103, 121, 124, 125]. Mutated, misfolded or overexpressed α-syn is involved in a number of pathways associated with degeneration of SNpc DA neurons. It is thought to impair synapse function [126, 127, 128, 129] and to affect the respiration, morphology and turnover of mitochondria [130, 131, 132, 133, 134]. Axonal transport might be impaired by misfolded α-syn through perturbation of microtubule assembly [135, 136, 137], especially together with MAPT protein [138, 139, 140, 141, 142, 143]. Also, oligomers of mutant α-syn induce chronic ER stress [125, 144], which seems to precede actual neurodegeneration . Finally, α-syn degradation by CMA  might be perturbed by mutated or dopamine-modified α-syn [103, 146, 147]. Reduction of lysosomal activity by α-syn overexpression might lead to α-syn accumulation , suggesting a vicious loop of CMA deficiency and α-syn misfolding. The proteasome system has also been reported to be inhibited either by α-syn mutants [149, 150, 151], or oligomers . Recent studies suggest that α-syn aggregates spread between cells and that this contributes to the PD disease process [123, 153]. This hypothesis is supported by reports of protein inclusions detected in previously unaffected DA neurons grafted into the striatum of PD patients [154, 155, 156]. The existence of a neuron-to-neuron transfer mechanism for misfolded α-syn has been shown in cell culture, primary mouse neurons and mouse models [157, 158, 159]. Moreover, it was observed that different types of cellular stress associated with PD pathogenesis, such as misfolded protein accumulation , proteasomal and mitochondrial dysfunction , are able to increase secretion of α-syn and its aggregates. It has been shown that exogenous α-syn preformed fibrils might promote the aggregation of endogenous α-syn in neuronal cells [158, 159, 162] impairing neural function [158, 159]. Taken together, these results suggest that misfolded α-syn can be secreted and taken up, introducing additional cellular stress and promoting further protein misfolding. Neuroinflammation and chronic activation of the immune system are pathological processes associated with all chronic neurodegenerative diseases, such as PD, AD or multiple sclerosis . Although the involvement of the adaptive immune system in PD-related neuroinflammation has been suggested [164, 165], in particular in the context of α-syn and neuromelanin [166, 167], current research of neuroinflammation in PD focuses primarily on the innate immune system. Of particular interest are microglia3  and astrocytes4 [169, 170]. Microglia constantly explore and monitor the local environment [171, 172], modulating the response of the immune system in relation to the level of their perturbation. At the first sign of stress, they produce and release anti-inflammatory cytokines and supportive growth factors . Neurons play an active role in regulating the microglial response. Many of their products inhibit microglia activation by binding to specific microglial receptors [173, 174, 175, 176, 177]. The SNpc is a brain region that may be especially vulnerable to elevated neuroinflammation. The SNpc contains more microglia  and less astrocytes than other brain regions . With a high microglial density promoting the inflammatory response, and low astroglial density to downregulate it, neuroinflammation in the SNpc may be particularly strong. Moreover, SNpc neurons contain neuromelanin, which has been shown to activate microglia  and could be another factor promoting neuroinflammation. The response of glial cells in the context of PD has been studied in humans, animal models and cell cultures. The presence of reactive microglia in human post-mortem brain tissue has been reported in PD patients  and in people exposed to MPTP . In animal models of PD, microglial activation has been studied in primates , mice  and rats , supporting the notion that neuroinflammation is intrinsically associated with the PD pathological process. In cellular co-cultures of neuronal cells and microglia, neuronal injury drives microglia activation, which in turn enhances neurodegeneration . In vitro systems demonstrate that the delicate balance between protective and detrimental effects of glial response might be disrupted by PD-related stress factors. Microglia can detect misfolded α-syn [187, 188] and increase neurotoxicity by producing ROS and pro-inflammatory cytokines [189, 190]. In turn, activated microglia expressing LRRK2 with a PD-related mutation produce more pro-inflammatory cytokines than corresponding cells expressing WT LRRK2 . Deficiency in Parkin may indirectly promote microglia activation by increasing neuronal vulnerability for inflammation-related stress  and disturbing the neuron–microglia balance. Finally, DJ-1 deficiency in astrocytes might contribute to neurodegeneration by deregulating their neuroinflammatory response . In summary, many in vitro PD models indicate a detrimental role of microglia. However, the situation in vivo is less clear, even though protective effects of anti-inflammatory compounds such as minocycline have been reported in models of PD . Degeneration of DA neurons is the final consequence of dysregulated cellular processes, leading to neuronal death . Neurodegeneration by apoptosis typically proceeds through one of two signalling cascades, termed the intrinsic and extrinsic pathways [196, 197]. The intrinsic pathway can be induced by intracellular stress, leading to MOMP that is controlled through proteins of the BCL-2 family. As a result, cytochrome c is released from the mitochondrial intermembrane space, leading to formation of an apoptosome and subsequent execution of apoptosis by activation of caspases 3 and 7. Studies in animal models of PD suggest the BCL-2 family is a key target for attenuating neurodegeneration of DA neurons [198, 199, 200, 201, 202]. Additionally, an important link between PD and the activation of apoptosis comes from studies investigating the roles of familial PD genes. It has been shown that disease-related LRRK2 mutations R1441C, Y1699C and G2019S promote mitochondria-dependent apoptosis . PINK1 and Parkin, in turn, protect against stress-induced cytochrome c release, while their mutations might fail to attenuate basal neuronal pro-apoptotic activity [204, 205, 206]. Importantly, failure of the protein degradation system could also contribute to apoptosis via the intrinsic pathway. It has been proposed that lysosome membrane permeabilization is induced by ROS and occurs upstream and downstream of MOMP [207, 208]. Finally, DA-mediated activation of the intrinsic pathway may contribute to selective DA neuron degeneration . The extrinsic apoptosis pathway is activated by extracellular signalling, and diverges into two sub-pathways: one directly activating caspase 3 and 7, the other causing MOMP. Neuroinflammation could be a major factor in this process [165, 187, 210], promoting neuronal apoptosis either by oxidative insults  or by pro-inflammatory cytokines [212, 213]. In summary, both apoptosis pathways appear to be the convergence point of different pathways dysregulated in PD. Still, therapeutic interventions may be most efficacious in maintaining DA neuron functionality if aimed at the upstream events of apoptosis. Indeed, as the apoptotic process is advanced, the intervention may be too late. Dysregulated pathways implicated in PD are strongly coupled, and their interconnections need to be represented in an integrated and comprehensive way to be studied efficiently. Our PD map allows navigation through information on PD-associated mechanisms, and constitutes an interface to well-established tools and methods for updating, enriching, and analysing its contents (see Fig. 3). We have enriched the elements of the PD map using a number of publicly available databases [214, 215, 216, 217, 218, 219, 220, 221, 222, 223, 224, 225, 226, 227, 228, 229, 230]. Information on official gene symbol, synonyms, description and chromosomal location; association with biological processes and diseases; or molecular interacting partners have been embedded within the map. Annotation of the contents of the PD map facilitates the knowledge exploration by providing additional information about map elements and their interactions, and is easily accessible online (see Fig. 3b for illustration and Online resource 1 for details). Recently, a variety of PD-related large-scale datasets have become publicly available, including microarray gene expression data for human post mortem samples from different regions of the brain [231, 232, 233, 234], human whole-blood samples , and samples from animal  and cell culture models . This experimental data can be visualized on the PD map or used to predict new map elements and interactions [238, 239, 240]. Visualization of gene deregulation in PD-related microarray datasets [231, 232, 233, 234] is possible via a variety of methods for candidate disease gene or protein prioritizations [241, 242, 243, 244]. We have chosen an approach combining significance scores  for differentially expressed genes in multiple studies, and prepared a colour-coded version of the map highlighting upregulation in green and downregulation in red (see the online PD map and Online resource 1). This gives an immediate overview of pathways that are affected by dysregulated genes. One of the major advantages of the PD map is the possibility to predict new elements and interactions on the basis of the map contents and experimental data. To achieve this, publicly available human molecular interaction data  are obtained for the PD map elements, extending the number of interactions. Then, an automated, graph-theoretic approach  prioritizes candidate disease proteins that are densely interconnected in the extended PD map, and whose gene expression levels are differentially expressed in the microarray PD samples. We have combined the abovementioned experimental microarray [231, 232, 233, 234] and protein-protein interaction data  to demonstrate the usage of this approach. The extended PD map containing the prioritized new proteins can be found in Online resource 1. The PD map is a large, complex network integrating metabolic reactions, gene regulation, and signalling processes. Exploring how different elements in the network may influence each other is difficult and non-intuitive. Graph-theoretical methods aim to bridge the gap between our understanding of the role of single elements in a cellular network and the properties of this network as whole [246, 247]. These methods aim to identify key network nodes (genes, proteins), edges (molecular interactions) or modules5 (subnetworks) . Basic properties of individual network elements such as node centrality6 indicate their global role in the whole network. In turn, analysis of inter-modular communicationf in the network indicates a how given molecule, complex or interaction can affect communication between modules [248, 249]. More advanced, functional dependencies between elements in the network can be revealed by methods exploring the relationships of all possible paths between network elements and selected molecular dysfunctions  (see Fig. 3b for illustration). Examples of network analysis applied to the PD map can be found in Online resource 1. Most of the connections on the PD map depict real physical interactions between biomolecules. Currently, the PD map contains no information on kinetics of these interactions; however, they can be easily assigned and analysed mathematically . The PD map is compliant with the Systems Biology Markup Language (SBML) standard , used by commonly available software to build kinetic models and run simulations . Although assigning kinetic parameters to all interactions in the PD map is a truly challenging task, describing kinetics of a certain process representing a module within the PD map is feasible. In-depth analysis of the dynamics of a process can provide insight as to how elements of the process change quantitatively and over time (see Fig. 3b for illustration) and assess their influence on the related components in the map. This can lead to new hypotheses that are impossible to discover by visual examination or analysis of static network topology . There are many successful examples, where similar bottom–up modelling has been applied to neurobiology related systems [255, 256, 257, 258]. In summary, structural network analysis allows for detection of elements key to PD pathogenesis represented in the map. This can serve as a basis for new hypotheses and prioritization of targets for further investigation. PD is a neurodegenerative disease involving a complex interplay of environmental and genetic factors. It becomes increasingly important to develop new approaches to organize and explore the exploding knowledge of this field. The PD map is a computer-based knowledge repository, representing diagrammatically molecular mechanisms of PD in a structured and standardized way. It can be linked to bioinformatics tools facilitating exploration and updating the contents of the map using bioinformatic annotations. The main insights into molecular pathology of PD come from studies on familial PD and GWAS. In the future, massive use of next-generation sequencing will provide even more data that might contribute to PD. The PD map facilitates integration and visualization of large experimental datasets, allowing analyzing them in the context of disease mechanisms. Discovering causal factors of PD pathogenesis is difficult because molecular pathways dysregulated in neurodegeneration are interconnected and influence each other. Analysis of the topology and dynamics of molecular interactions within and across different pathways represented in the PD map may help to uncover key factors in PD pathology. For instance, the role of neuroinflammation in the pathological cascade in PD remains unclear, while the apoptosis, clearly a downstream factor of PD, involves other mechanisms implicated in PD, like protein degradation or mitochondrial quality control. Consequential steps of PD pathology can be elucidated by the global, systems level analysis of all implicated factors. The map has reached substantial size and complexity. Keeping it up-to-date and refining it with limited resources will be a challenge. We foresee the PD map as a crowd-sourcing project, where an interested and knowledgeable research community is engaged in solving a problem [259, 260, 261, 262], similar to WikiPathways or Payao [263, 264], but focused on disease-related mechanisms. Thus, the PD community will easily explore and curate the PD-related knowledge in an online manner, ensuring that individual contributions are recognized. Epigenetic alterations — secondary, environmentally induced changes of gene expression. Mitophagy — autophagy of mitochondria. Microglia — the most abundant of the resident macrophage populations in the CNS. Astrocytes — glial cells that play a supportive role for neurons and modulate microglia response. Module — in the PD map by a module (subgraph, subnetwork) we understand elements and interactions participating in the same pathway or serve similar biological function. Inter-modular communication denotes all interactions linking different modules. Node centrality — a measure describing how important a given node is for the connectivity of the entire network. We are grateful to Angela Hogan for language correction assistance.